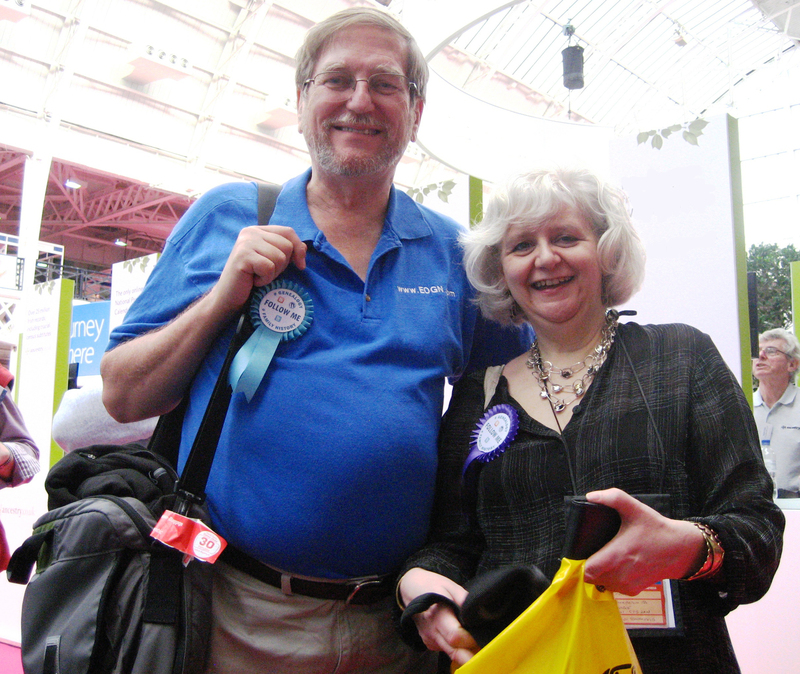 The MyHeritage team returned from three intensive days at the Who Do You Think You Are Live 2012 show in London’s Olympia, attended by some 15,000 visitors. The team included CEO and founder Gilad Japhet, chief genealogist Daniel Horowitz, head of genealogy (UK) Laurence Harris and US genealogy advisor Schelly Talalay Dardashti, along with UK/US community manager Aaron Godfrey, former UK community manager James Sanderson, Netherlands community manager Denie Kasan and support representative Aviv Ben-Arie. We enjoyed meeting with old friends and prospective members during the show. Many new users registered at the booth, while many existing members spent time with our team, shared their stories and sought assistance in advancing their family research. On Friday, Daniel presented “How do we share and preserve memories in a digital age?” He addressed the tools available for genealogists to record, organize and share their family trees and family history research. On Saturday, Laurence gave the show’s keynote presentation – “Breaking Down the Barriers with Social Networking – Strategies and Tricks.” The presentation illustrated how family historians can use social media to find information about their ancestors and relatives. 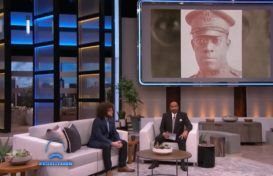 Practical tips included involving members of your extended family, using a variety of social media in combination, and automatic SmartMatching of your family tree to find those researching the same ancestors. Laurence was joined on stage by Josh Taylor, Lisa Louise Cooke, Peter Christian, Paul Howes and Dan Lynch for the expert Q&A panel session. A major event on Saturday was a showcase of the Making History project for schools including guest appearances of famous genealogist Dr. Nick Barratt, and actor and personality Colin McFarlane who founded the project. In attendance were the student winners of the MyHeritage Awards for Making History who discussed their videos, stories and family history research with our experts and guests. Also present were teachers and parents who shared how the project had developed pupils’ skills in research and presentation. The project is run in association with MyHeritage.com which provides each student with a family site where they can build their family tree. Watch the video to see how the project started, listen to the students’ stories and hear what teachers had to say about the project. 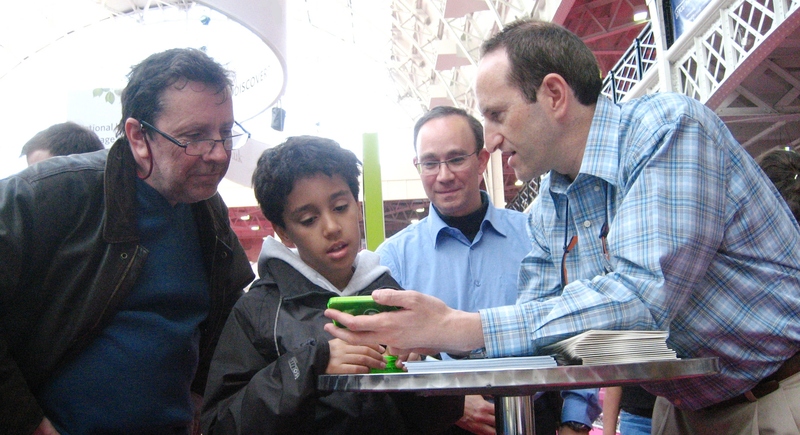 Hundreds of visitors to our booth loved our giveaways of photo frames for the fridge and bright green iPhone covers. 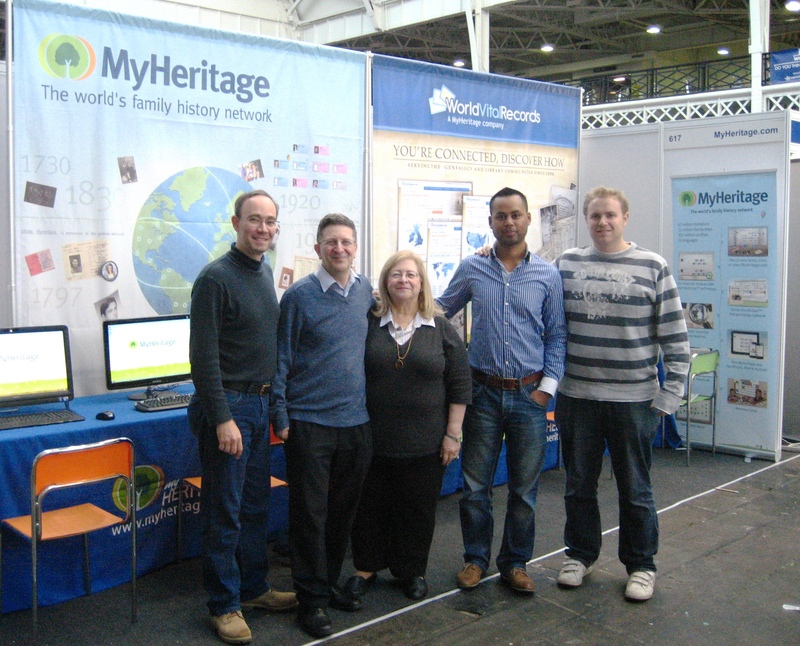 The MyHeritage team updated visitors about MyHeritage’s tools and features, new Smart Match™ functionality, demonstrated how our recent acquisition of World Vital Records adds value to the user experience and how genetic testing can be used for genealogy. Thank you to everyone who visited our booth. Here are some photos we took at the show. We look forward to greeting you again next year. 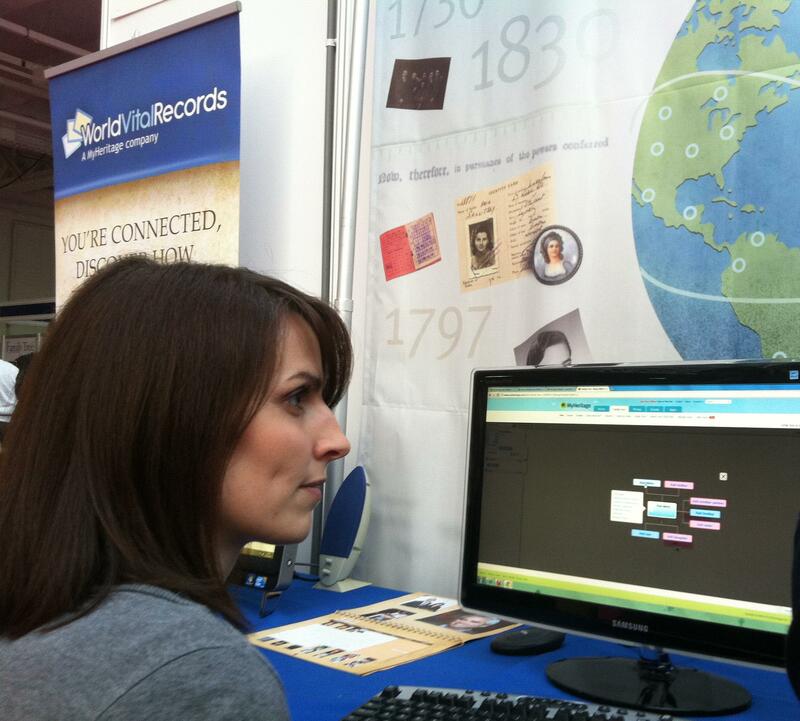 Demonstrating MyHeritage.com for Laura Berry, editor of "Your Family History Magazine"